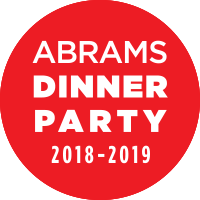 As a part of the ABRAMS Dinner Party again for 2018-19, I will be sent most of the cookbooks for their season. This is how I ended up thumbing through Home Made Christmas by Yvette van Boven several months before Christmas! 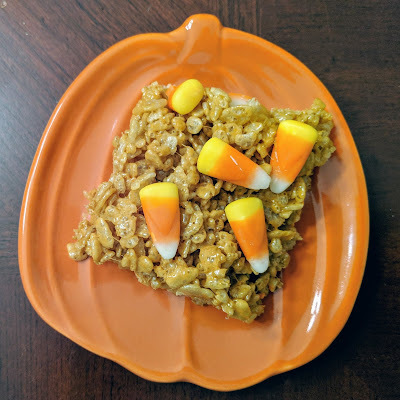 I marked a few sweet recipes to try, as I tend to do, but I kept coming back to a few savory dishes. 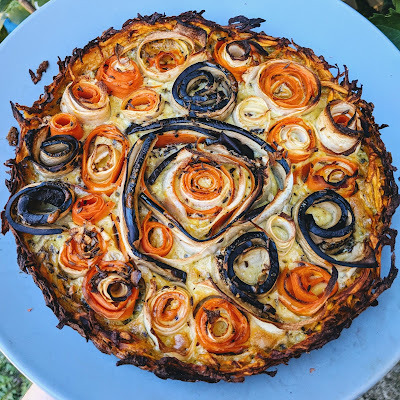 One that topped the list is the vegetable spiral tart. In the cookbook, Yvette has made a beautiful tart with all one spiral. As I attempted to force my vegetables into submission, I decided it was going to be easier to make rosettes surrounding a central spiral. It isn't quite as perfect as the picture but it was tasty, and will do just nicely for lunch later this week as well! Grate the sweet potatoes in a food processor using a coarse grater. *** Beat the egg with some salt and pepper and combine it with the sweet potato. Press the sweet potato mixture into the [tart] pan, forming an even layer on the bottom and up the edges. Prebake the crust on the lower rack in the oven until half done and the edges begin to brown, about 25 minutes. Let cool somewhat on a rack. Increase the oven temperature to 400 F (200 C). Meanwhile, make the filling. Shave the vegetables as thinly as you dare into strips. I use a vegetable peeler for the carrots and the parsnips. That works better than you might think. For the eggplant I use a chef's knife to cut very thin slivers. Whisk the eggs and cream together with the garlic, curry powder, and caraway. Season with salt and pepper. Fit the vegetables in the pan in circles, artfully alternating among different colors so it will look beautiful. Continue until all have been used up. After filling the whole pan I always stick the final slivers left on the counter in between the vegetable spirals. You can really use everything! Pour the egg mixture over the vegetables, carefully spreading it out. Bake the tart for at least 45 minutes, until done. Let rest for 10 minutes before removing it from the pan. If you are planning to serve the tart later you should bake it for only 35 minutes. In that case it will go back into the oven just before serving. Let cool, cover, and store in the fridge until ready to serve. Make the avocado cream. Puree the avocado together with the curry powder and the lemon zest and juice in a food processor until completely smooth. Stir in the crème fraîche. Cover and refrigerate until ready to serve. Allow the tart to reach room temperature (if it's been in the fridge.) Preheat the oven to 400 F (200 C). Bake the tart for about 15 minutes, until nicely done and warm throughout. Serve with the cold avocado cream. Overall, this was tasty if a bit fiddly. The crust was simple but delicious, so I'm already thinking of other ways I can use it... maybe as a crust for a savory cheesecake! I would like to know if I could do a simpler version of this without having to shave and arrange the vegetables. Also for my tastes, eggplant is not really working here, but I know I'm not a huge fan the way other people are. ** Really listen to this step. I skipped it and will have a messy oven floor to clean sometime soon. *** I didn't pull out the food processor, just used a handheld grater and it was fine. 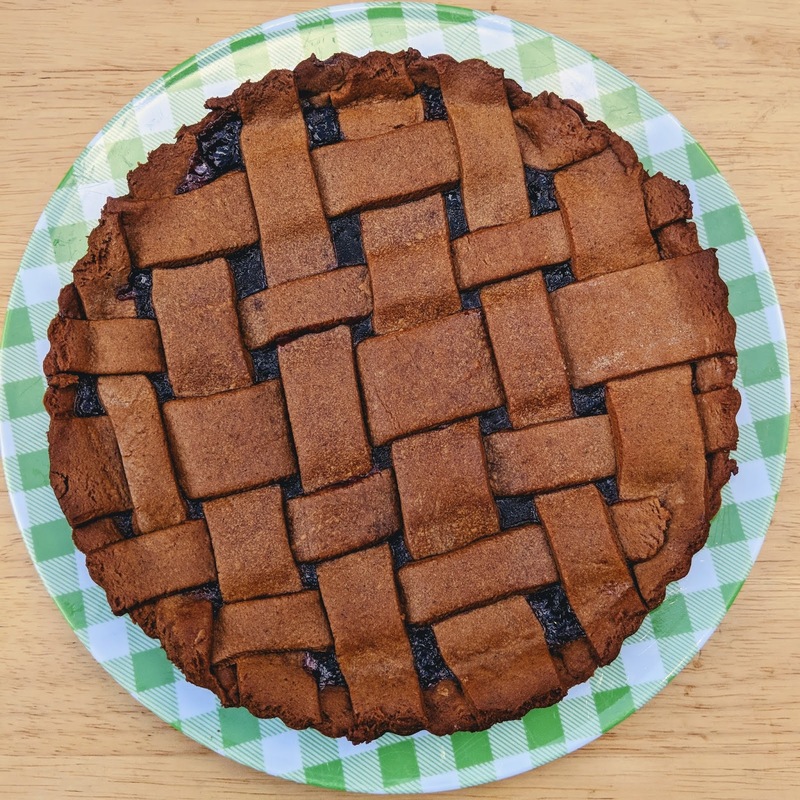 I keep saying [tart] when she says pie pan, because the ingredients fit perfectly in a tart pan, the recipe title is tart, the picture looks like a tart, and I think there wouldn't be enough to fill a pie pan. The cookbook author is Dutch so I wondered if tart and pie are the same English word. No big deal, but you might want more of at least the egg mixture if you're going pie plate. I didn't make the avocado-curry cream but it would have been good, adding some acid it probably needed. The curry flavor in the egg mixture comes across pretty strongly already, so you may want to reduce it in one of the two places if you're making both the tart and the cream. On our first orchard trip of the autumn, I bought a gallon of apple cider. I had about half a gallon left and it started to expire, so I went looking for a recipe that used a lot of it. 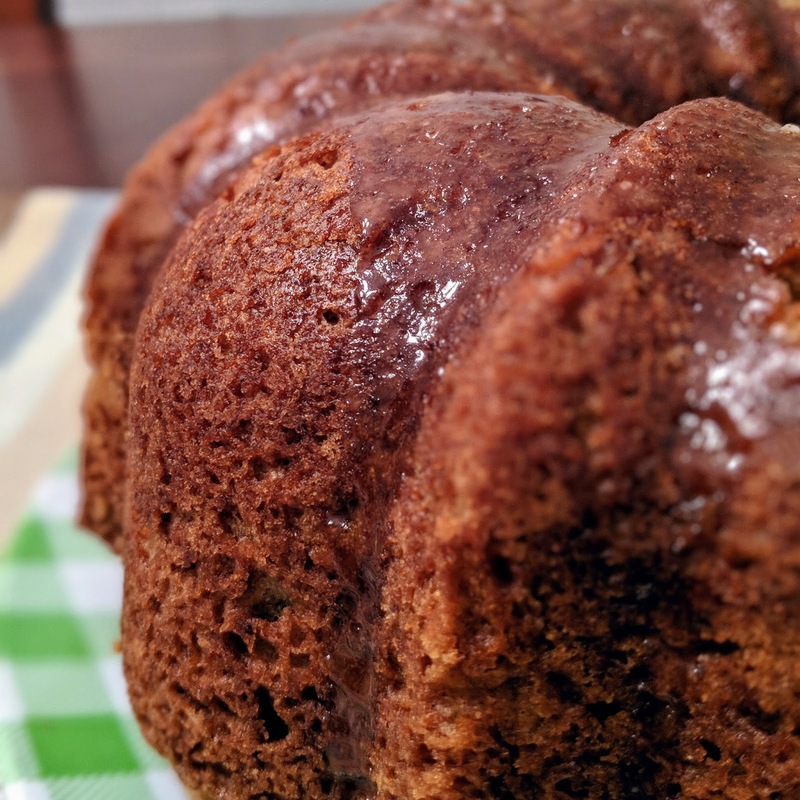 Between cake and glaze, this recipe uses 2 cups. Instead of going full apple cider doughnut with Martha's cake recipe, I didn't cover the cake in the cinnamon sugar mixture and opted for the apple cider glaze instead, for a slightly more sophisticated look. Preheat oven to 350 degrees. Butter and flour a 12-cup Bundt pan. In a large bowl, whisk together both flours, baking powder, 1 teaspoon cinnamon, baking soda, and salt. In another bowl, whisk together sugar, cider, oil, applesauce, vanilla, and eggs. Add egg mixture to flour mixture; whisk until combined. Transfer batter to prepared pan. Bake, rotating pan halfway through, until a tester inserted in center comes out clean, 45 to 50 minutes. Transfer pan to a wire rack; let cool 15 minutes. 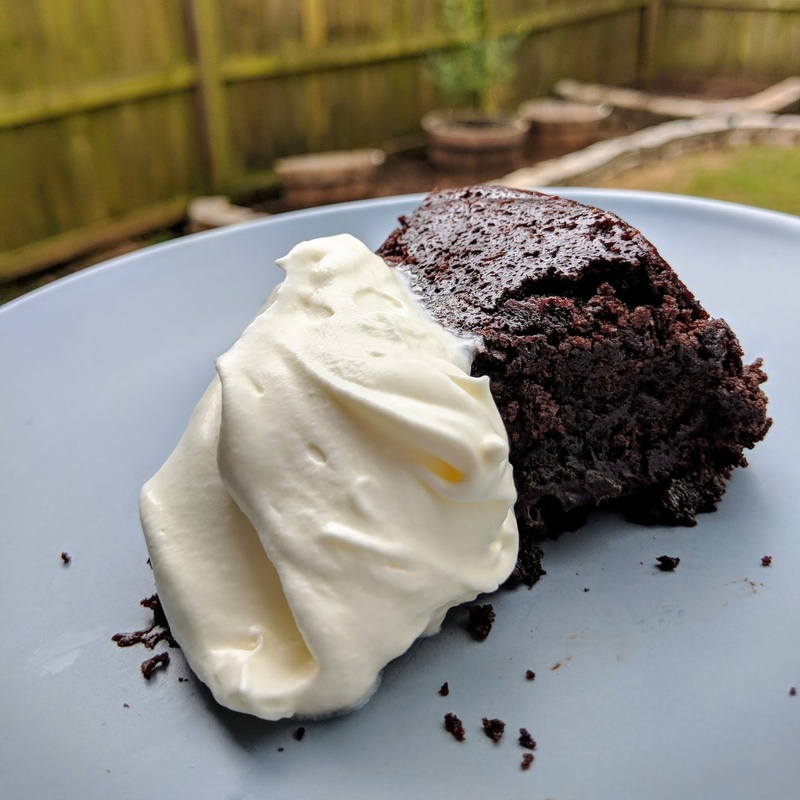 Drizzle over cooled cake. Cake can be stored, covered, at room temperature up to 2 days. I read a lot of fiction, as most of you know. Recently I read Our Homesick Songs by Emma Hooper, about a dying fishing village in Newfoundland and the people who live there. Most of the residents are moving away for work. In one scene, the Mom from the central family sends her children, Cora and Jack, to buy something from the bakery to celebrate their last day as a family before the parents start trading off traveling "up north" for work. "They got the only pie, dark berries and dark molasses crust, and continued on home..."
Their mother Martha approves of their selection. "Lassie tart, she said. Good choice." So this of course set me off on an internet research rabbit hole. There aren't many places online to find the recipe for a lassie tart, although if you just look for Newfoundland tart or Newfoundland molasses tart, a few more come up. They all agree the traditional berry (which is made into a jam before filling the tart) is the Partridge Berry, but that was not a berry I could get my hands on, not in frozen form or in jam. Several bakers who had made the tart used lingonberries, so I did that as well. The tart has a lattice top so I was refreshing my skills by looking at tutorials for them, and encountered a "plaid" pattern with varying widths of lattice that I really liked. 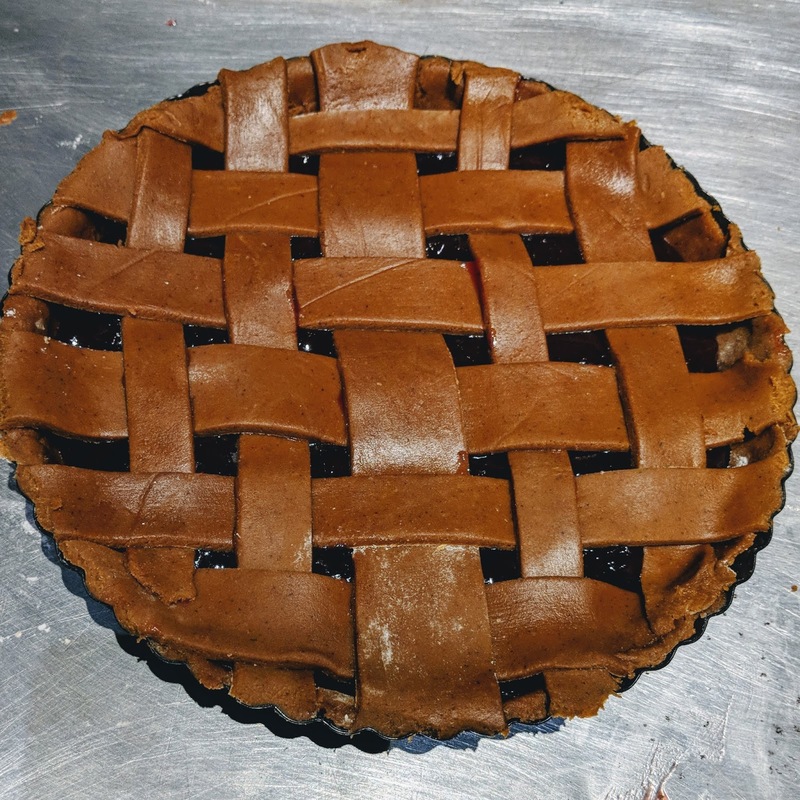 Unfortunately I didn't really pull it off; my tart just looks like I didn't cut my lattice evenly, not like I did so intentionally. This molasses dough is pretty soft and not as easy to work with as typical pie dough. Ultimately I made the recipe from the Globe and Mail, and will include it in its entirety below, but should say that I used a 12 oz jar of lingonberry jam instead of making any (and that was just about right for one 8-inch tart. I can't see this recipe making enough pastry for 2 complete tarts as it says it will. In the end this is a fairly simple recipe, perfect for a place with a lot of molasses and jam on hand like Newfoundland. I wonder if this could be adapted slightly for Thanksgiving - I wouldn't use all cranberries, I don't think, but maybe half (or, you know, cranberry sauce) and maybe add some orange zest to bring out the orange pekoe tea in the crust. It's a keeper. To make the pastry dough, cream the butter and molasses. In a separate bowl, sift together the flour, cinnamon, cloves, ginger and salt. In a small bowl or cup, stir the baking soda into the hot brewed tea, then add immediately to the butter-and-molasses mixture and stir well. Add dry ingredients to the same bowl and mix until just combined. Pat the dough into a ball and flatten, wrap in plastic wrap and chill it in the fridge overnight or for at least 2 hours. To make the partridgeberry jam, place the berries, lemon juice, lemon zest and sugar in a heavy-bottomed pot and simmer over medium-low heat for 1 hour. Set aside and let cool. To assemble the tarts, roll out the dough to 1/8 inch thick and 10 inches round. Transfer to an 8-inch tart pan and trim the overhanging edges. Form a ball with the scraps, roll out the dough and cut out strips for the lattice top. Fill tart with 1/2 inch of partridgeberry jam. Place the lattice overtop and use a fork to crimp the edges of the pastry. Bake at 325 F for 35 minutes or until the top is dark brown. I didn't make this cake perfectly. I underbaked it, meaning I had a bit of a tiny lava cake situation in the middle. I didn't grease the pan high enough, so it stuck around the rim. I don't think I mixed it enough, in fear of overmixing, so one bite tasted like baking soda, whoops. It's a bit droopy in the middle. 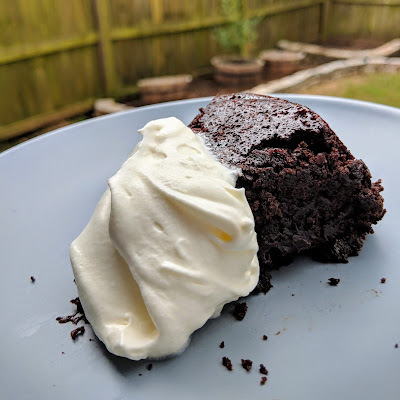 But you know what, it tastes good, the whipped cream is a nice pairing, and sometimes you just want something you can pull together quickly without special ingredients. Oh yeah, also this is a vegan recipe! It reminds me quite a bit of the flavor of the Morning Loaf recipe I've made a bunch since it originally showed up in JennyBakes, but it relies on coconut oil and espresso powder. 2. Stir dry ingredients together with a whisk, knocking out any lumps in the brown sugar and cocoa powder. 3. Whisk in oil, then add in coffee and vinegar until smooth. 4. Scrape into pan. Bake 30-35 minutes or until tester comes out clean.